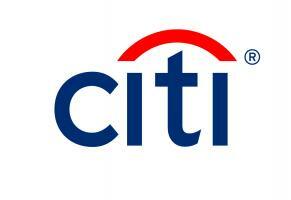 What should I expect from an assessment centre at Citi? I would really want to understand fully what a Trade and Treasury Solutions Analyst does. Hi Concilia, first you need to pass the numerical tests and then there's normally an introduction interview with someone from the hiring team first. The final round is 6 hours session in Citi London where you do a number of interviews testing your personal and professional skills. Also includes a case study and team work. This is the process for Corporate and Investment Banking, so cannot talk for Trade and Treasury Solutions. Alright, although I am based in Kenya. So is the final round still done in London? For the introduction interview, is it face-to-face or a telephone one? That is the process in Western Europe so not sure how it would be elsewhere. The introduction interview can be either face-to-face or telephone. It depends from team to team. How many interview stages are there for the summer internship IBD application process? Dear team, what is the expected numerical literacy expected of candidates during the interview stages for CCB? Hi! Will applicants be notified if we get rejected through different stages of application process? Thanks! How do I best prepare for a position of a graduate trainee? I have an upcoming interview.